Liverpool’s Dutch duo Virgil van Dijk and Gini Wijnaldum both found the back of the net in their opening Euro 2020 qualifier. The international break has gotten off to a positive start for several of the Reds’ squad, after Ben Woodburn scored a late winner for Wales on Tuesday. 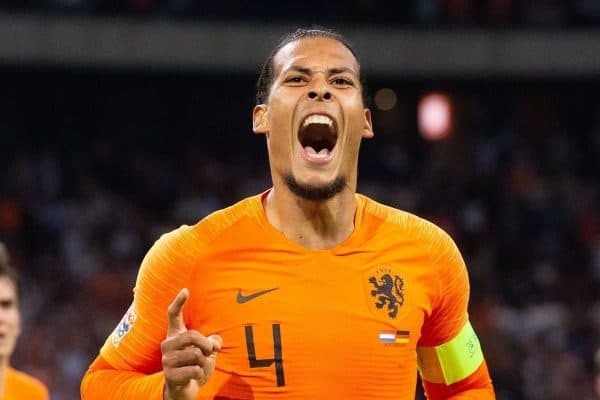 On Wednesday, it was the turn of Netherlands pair Wijnaldum and Van Dijk to take centre stage, and they followed suit by netting a goal apiece against Belarus. After ex-Red Ryan Babel—who scored against Gini and Virgil at the weekend—was involved in the first-minute opening goal, it was Wijnaldum who made it 2-0 with a fine break from midfield. 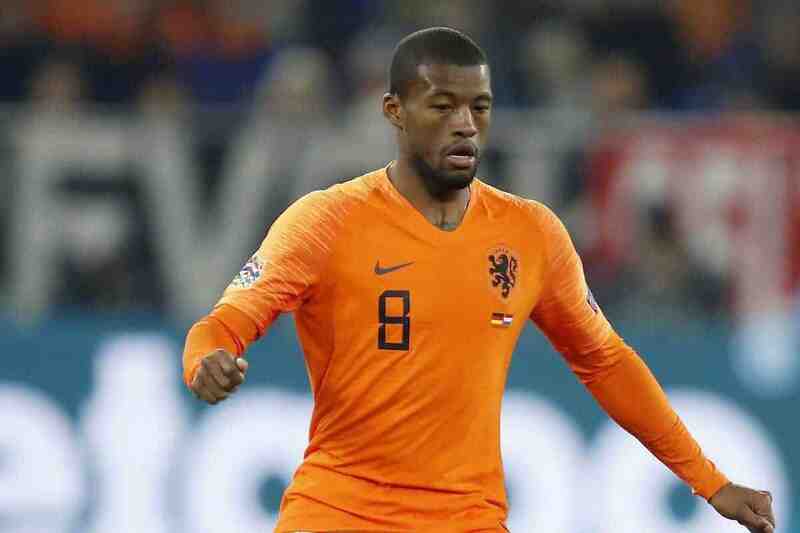 Playing as the most advanced attacking midfielder in a 4-2-3-1 again for his national side, Wijnaldum spread play wide before attacking the box and finishing smartly—his third goal in his last five caps. Wijnaldum then won a penalty in the second half, dispatched by Memphis Depay for his second goal of the evening, before Van Dijk wrapped up the scoring. A close-range header was powered in by the big centre-back—though his timing, movement and reaction to bury his effort from a smashed cross were extremely impressive. The Dutchman has recently found his scoring touch; as well as being a regular on the scoresheet for Liverpool, it’s now three in four for Van Dijk for Netherlands. Elsewhere, Liverpool players were conspicuous only by their absence around the rest of the international scene. Andy Robertson missed Scotland’s abject defeat in Kazakhstan, the national team skipper spared the ignominy of a 3-0 Euro 2020 qualifier defeat by virtue of the less-painful-sounding need for a dental operation. Dejan Lovren was not involved as Croatia began their own qualifying campaign with a 2-1 win over Azerbaijan. For Belgium, both Divock Origi and Simon Mignolet were unused subs as they beat Russia 3-1 in their first qualifier. Finally, only Kamil Grabara was involved at youth level on Wednesday, as he played the full 90 minutes for Poland U21s in a 1-1 draw with their England counterparts. On Friday, Jordan Henderson could be involved with England, while the Reds’ Brazilian contingent and Sadio Mane with Senegal will all be in action on Saturday.